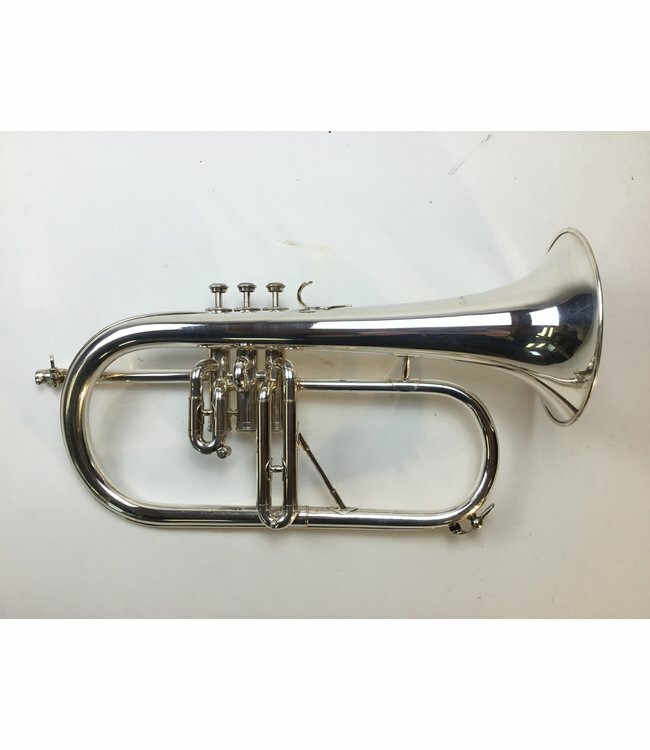 Used Courtois Bb flugelhorn in silver plate. Instrument is in good condition with surface scratching, dents in the bottom tubing near water key, and silver wear on valve cluster. No case.